Phase Two boasts enough classic Prince moments to sufficiently wash the worst memories of its vapid predecessor out of fans’ memory banks permanently. It’s been a mere three months since Prince dropped HITNRUN Phase One first on Jay-Z’s Tidal streaming service, and then a few weeks later via more traditional outlets. Arguably the single worst album of his legendary career, the sterile and soullessPhase One quickly sank like a stone, notable more for being the first product under Prince’s highly publicized deal with Tidal than for its music. At the time there was speculation as to whether a Phase Two would materialize -- that speculation can now be put to rest. On Saturday, 12 December, without any warning whatsoever, Prince fans awakened to the news that HITNRUN Phase Two is available via Tidal to either purchase and download or to stream via the subscription service. Happily, even though it relies heavily on previously released material, Phase Two outshines Phase One by a mile -- it’s not even close. Phase Two boasts enough classic Prince moments to sufficiently wash the worst memories of its vapid predecessor out of fans’ memory banks permanently. It has a completely different vibe than Phase One, eschewing producer Joshua Welton’s impotent and amateurish digital wreckage for a funky, horn-heavy sound that’s altogether more real. 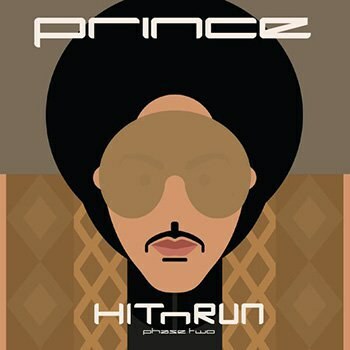 HITNRUN Phase Two opens with “Baltimore”, which Prince first released back in May 2015 following the riots in Baltimore sparked by the ghastly murder of Freddie Gray while he was in police custody. Featuring prominent vocals by Eryn Allen Kane, “Baltimore” is Prince’s obviously sincere call for peace, love and understanding as the country grapples with ongoing turmoil in the wake of numerous incidences of police brutality caught on video. It’s not hard to figure out which side of the controversy Prince stands on, as he takes up the rallying cry of the protesters, “If there ain’t no justice, then there ain’t no peace!” “Baltimore” is slick and highly polished, lacking the emotional power of Prince’s strongest works about social justice (it ain’t no “Sign o’ The Times”), but it’s still an engaging song that captures for posterity a moment in our history that may turn out to be a tipping point for the better -- or so we can hope.